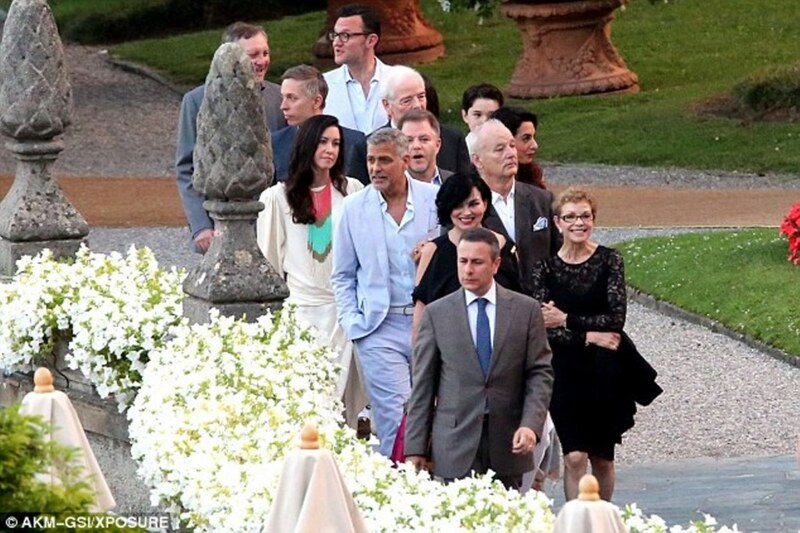 Amal and George Clooney enjoyed a dinner with friends and family at the Villa d’Este in Cernobbio, Italy, on Monday evening. 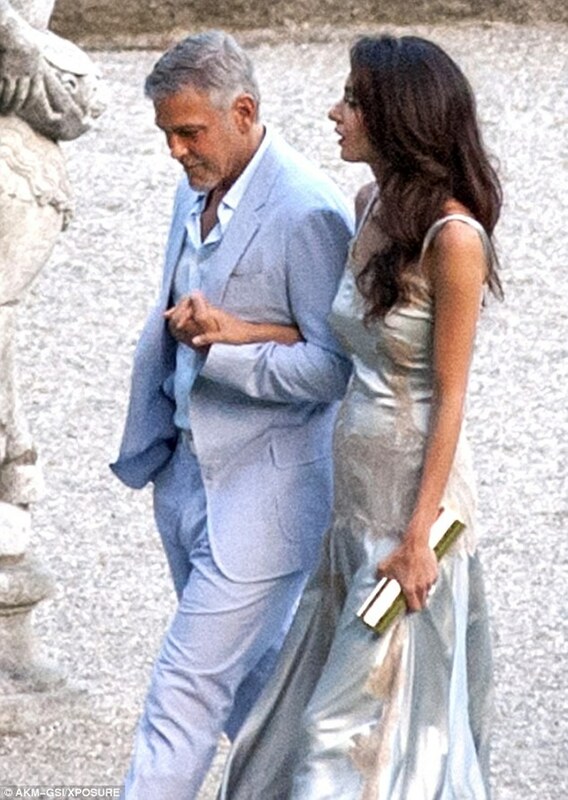 Amal and George Clooney were specially elegant. A symbol of sensuality and femininity, the lingerie in Dolce&Gabbana collections becomes a precious piece to be shown off in dresses, tops and skirts in silk satin embellished with scalloped lace. This lingerie dress with shoulder straps is made of double layer stretch silk satin. The particular feature of this dress are the scalloped lace insets applied to the front and back on the bodice, hips and bottom hem. The piece features thin shoulder straps, a drop waist, a flounced bottom hem and a rear zip and hook-and-eye fastener. 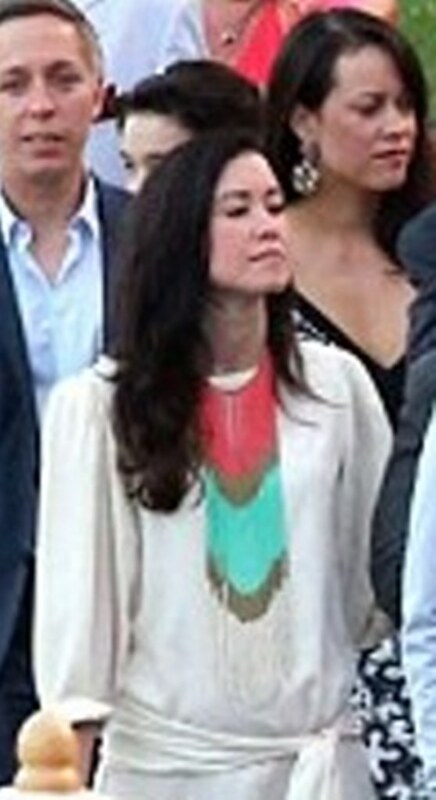 with long earrings and a tube metallic clutch (Jimmy Choo). I love everything about that slip dress….the dress itself, the shoes, the earrings. Spot on! I like that huge necklace in the other one. Thank you to George for his outfit! What a gorgeous dress, and it fits her to perfection. That is a difficult fabric to wear and yet there is nary a wrinkle to be seen. I am amazed that she can navigate the boat steps in those shoes but they are also gorgeous. 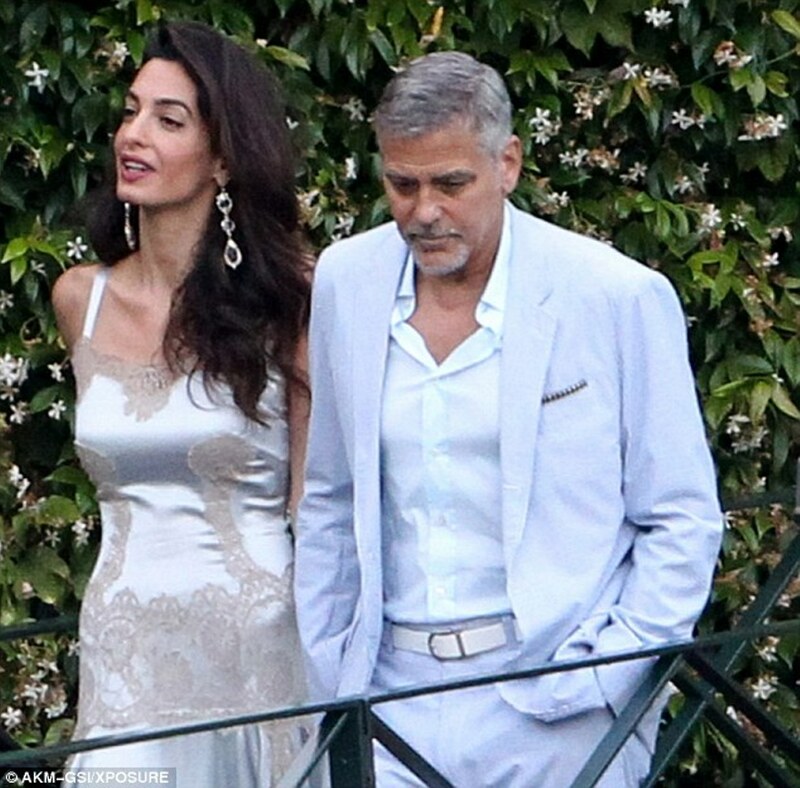 And thank you, George, for upping your sartorial game at long last! I agree with Lulu. 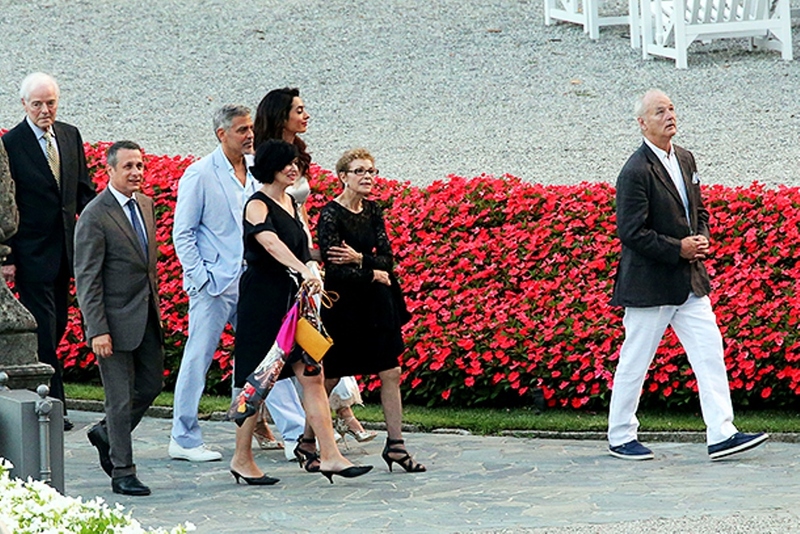 the dress and the shoes are beautiful and Amal and George look very happy! 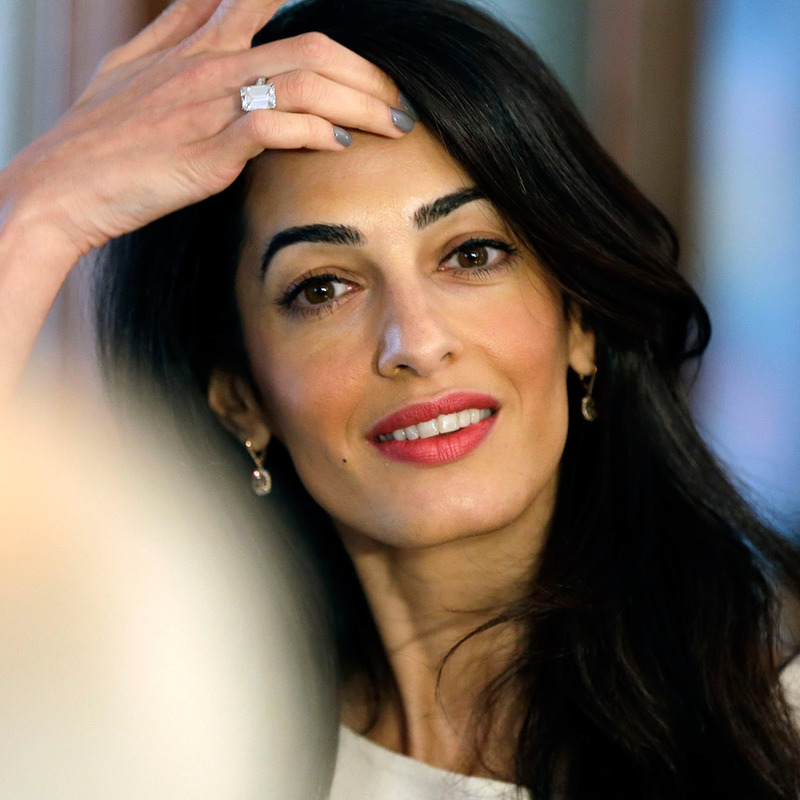 Although Amal doesn’t look at photographers, she still looks lovely and amazing. A very photogenic woman for sure. A beautiful dress! Any ID for those earrings? Now… is THAT a baby bump there???? 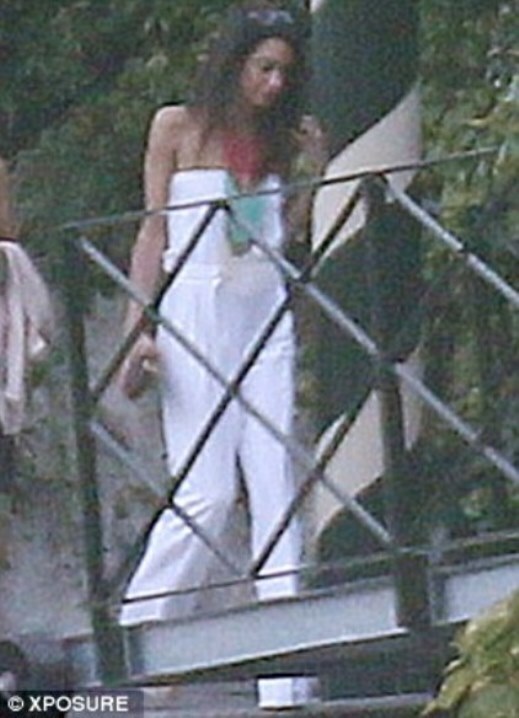 In one of the pictures i see a baby bump!!! 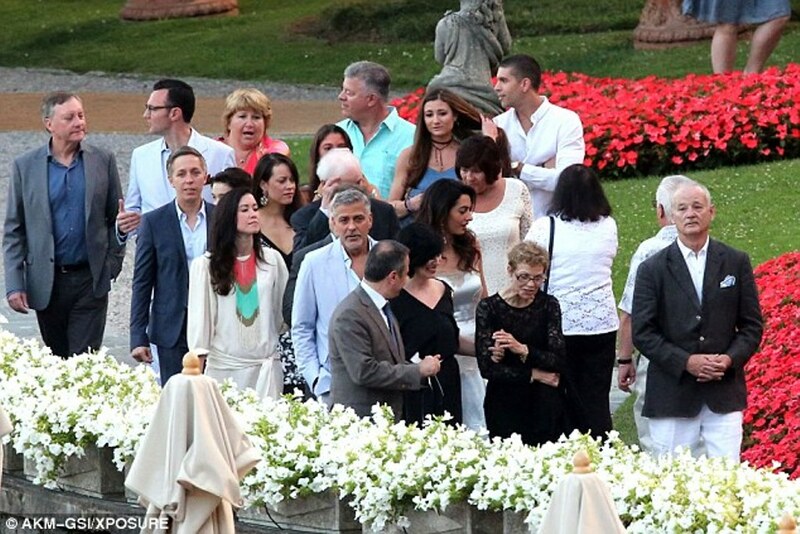 And look how George is overly attentive to Amal’s safety! And a huge family and friends gathering…. a baby announcement perharps??? Wasn’t she drinking tequilia in the next blog entry where they were sitting watching the fireworks? Pretty risky if you are pregnant. Not really , George was holding one glass . and i say.. it is a boy!!! ooh Jackson i see the other glass . I’m disappointed, I really thought she was pregnant . 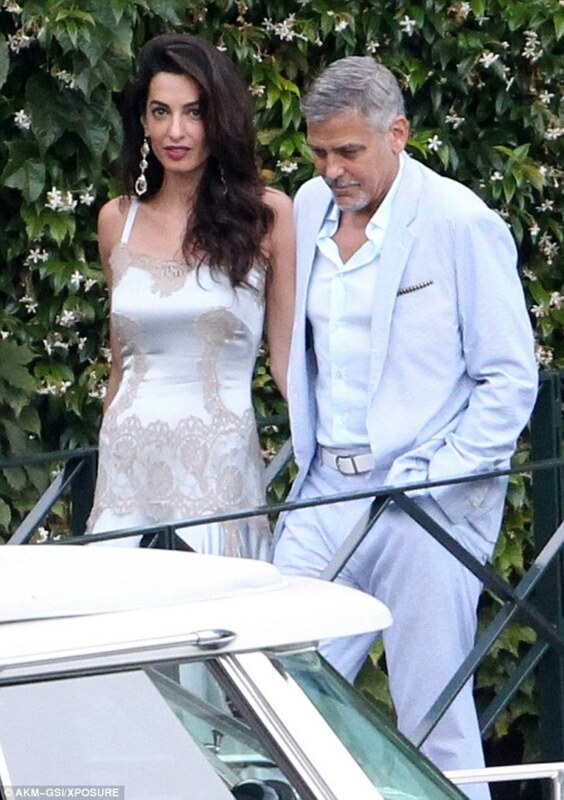 Amal looks great. That’s a very hard fabric to pull off. Even her bra straps don’t show. :) Love the earrings too. And George looks great. Finally he steps it up. I love that she always makes an effort. I’m sorry. To me it looks like she wore her nightgown out again. Exactly, I saw it too on Tala Insta account. Very pretty Amal in these photos and very feminine look. Picture perfect she and her doting husband! I agree with Nadia. Jennifer Anniston has for over two decades contributed to that media machine she now has a problem with. Seems like she is jumping on the the cause celeb feminist bandwagon like every other hollywood starlet. As far as Amal goes. I do not think they will have kids. I have seen George in video clips with kids and it’s hard to watch. He is noticeably awkward around them. Why is it so important to know if they want children or not? Loving each other doesn’t necessarily implies they feel the need to have children. They can perfectly be happy without any while being great people..
Do you know where her long, fringe bib necklace is from?